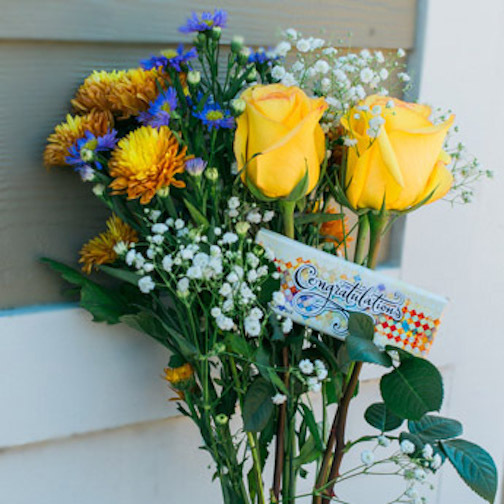 Fresh from our California Growers, send a beautiful Congratulations Bouquet! Yes! The Congratulations bar you see is chocolate!